Long-Term Care Insurance: This type of insurance provides varying levels of coverage for care that is typically not covered by other forms of insurance, such as memory care assisted living. Long-term care insurance is an anticipatory protection and will not apply for preexisting conditions. Veteran’s Benefits: Koelsch Communities actively supports Veterans and their families, with our unique and long standing relationship with Elder Veterans Legal Aid Group, P.C., a law firm dedicated to assisting Veterans in obtaining their disability entitlements. EVLAG represents Veterans in all areas of VA disability law: service-connected compensation, non-service connected pension claims and reviews of denial. Veterans who served during wartime may be eligible for this benefit. It pays up to $2,954.00 per month of supplemental income that can help substantially with the cost of residing in Retirement, Assisted living or Memory Care Communities. 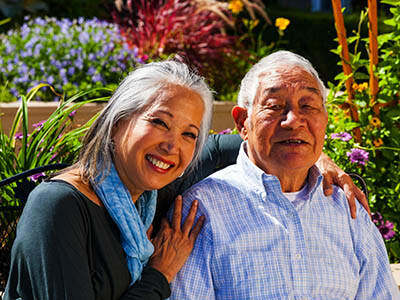 Life Insurance: Some forms of life insurance can be used to fund the costs of assisted living and other care services. Gift Tax Exemption: Family members can offset the costs of a loved one’s long term care by taking advantage of the IRS gift tax exemption. This allows individual family members to gift up to $14,000 per person, per year without paying gift tax. At Koelsch Communities we are committed to offering quality care and assistance to our aging population and you can rest assured that our family will take great care of yours. For more information, contact a community near you.